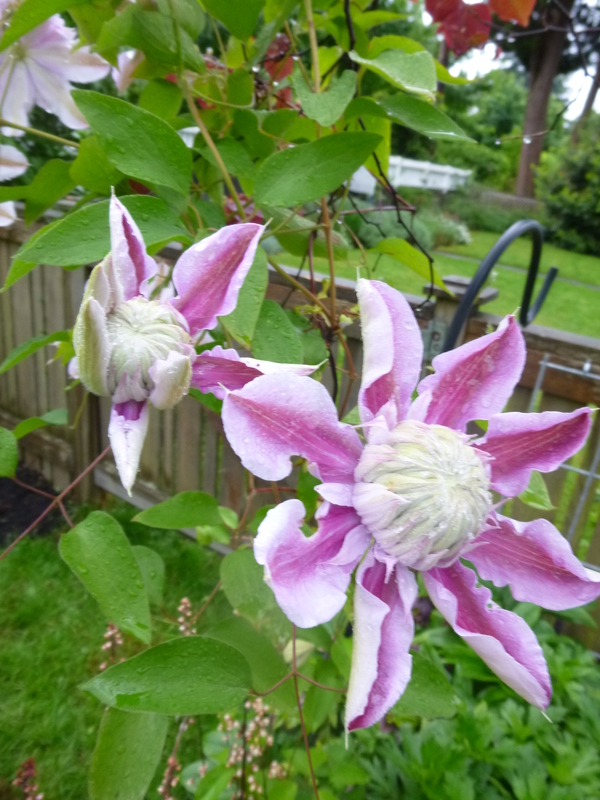 Sweet Autumn Clematis wins, hands-down, as Clematis of the Month for October in my garden this year — for the second year in a row. 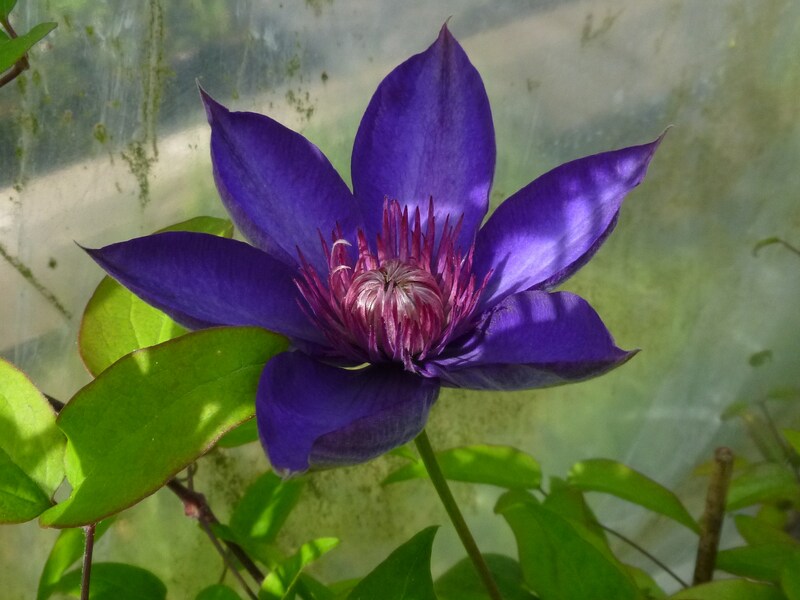 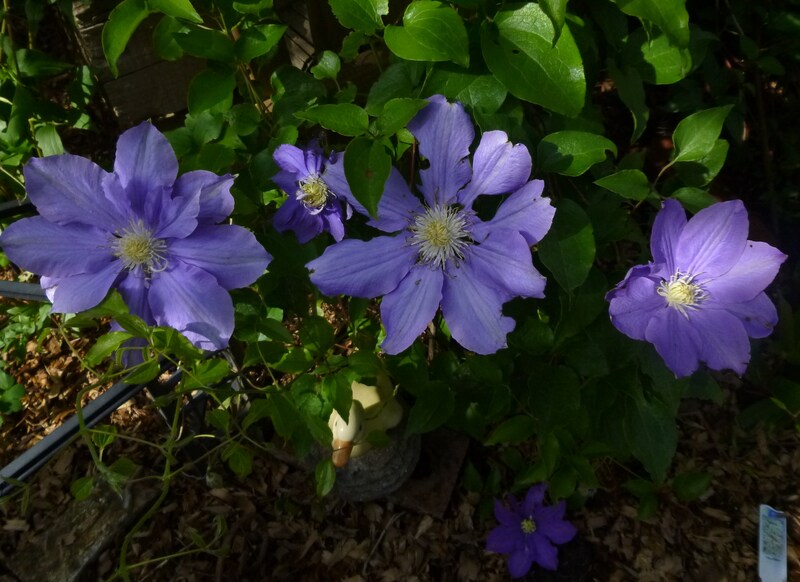 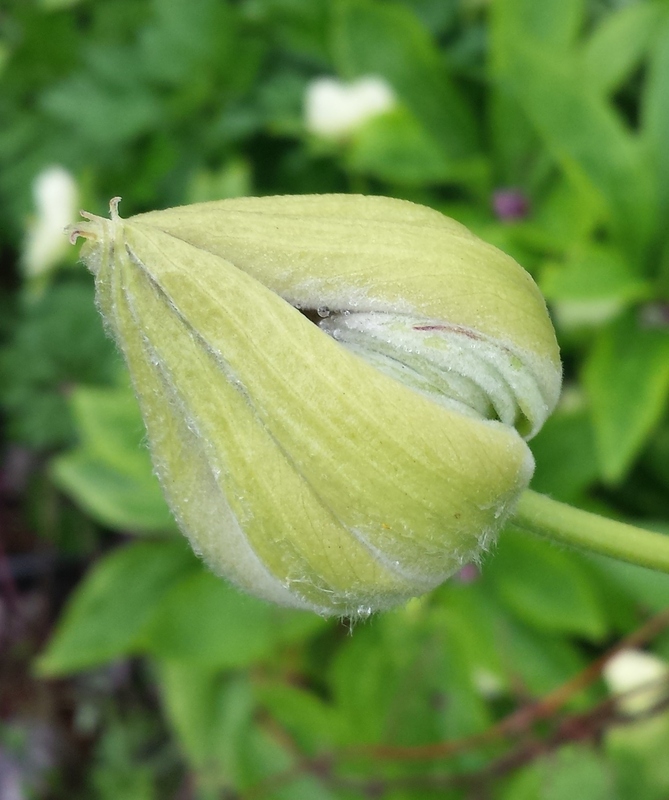 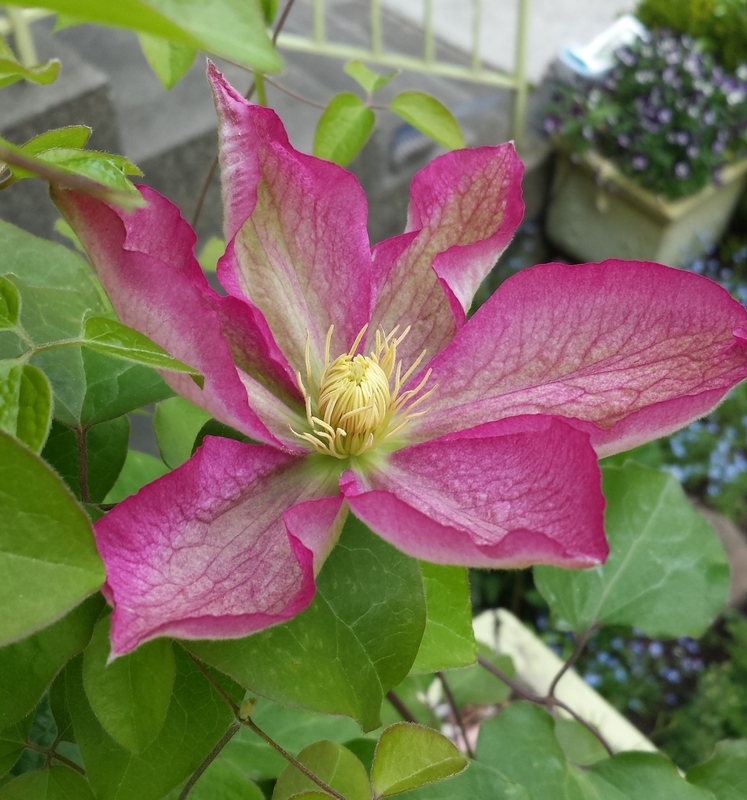 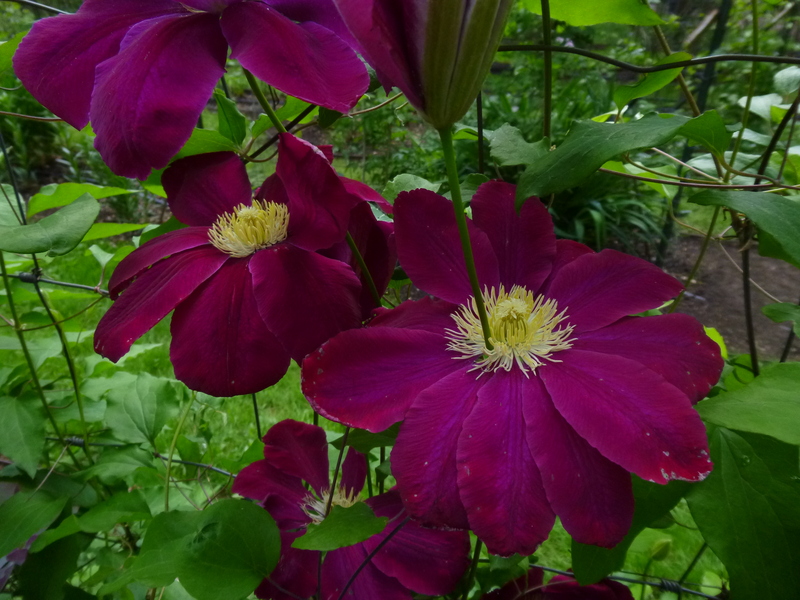 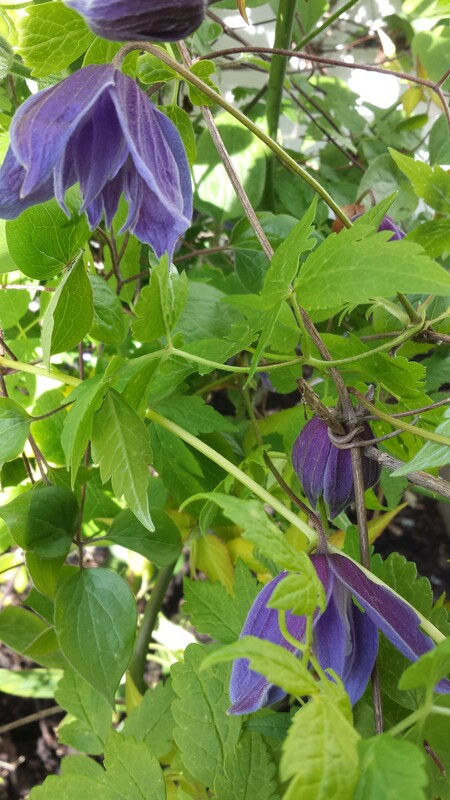 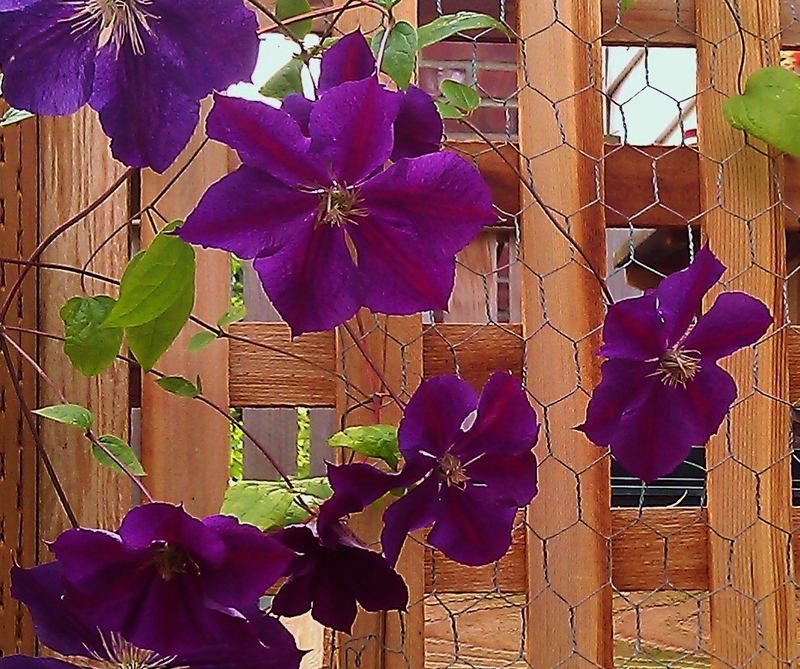 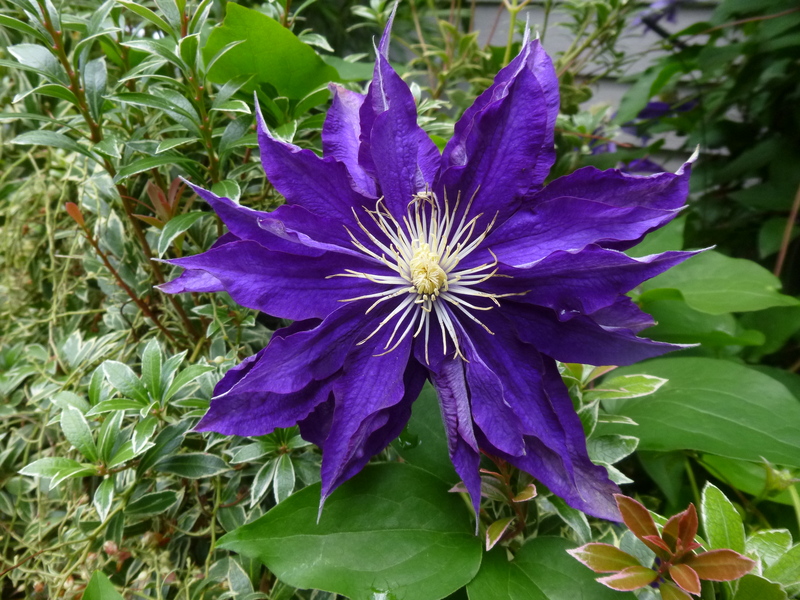 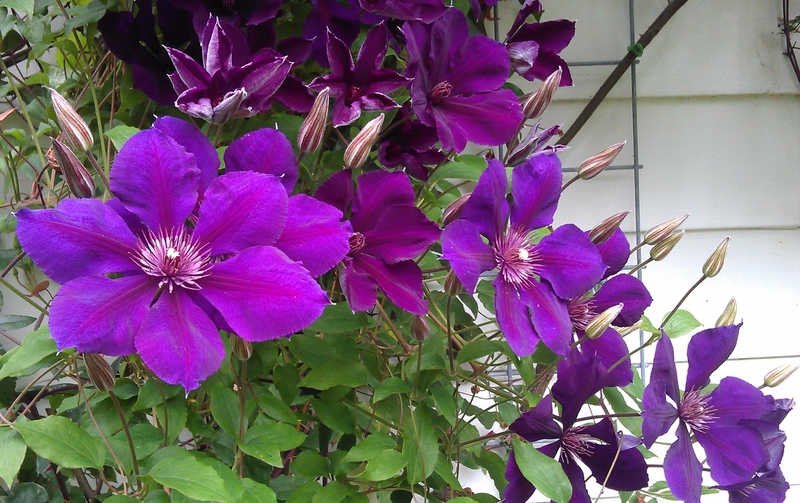 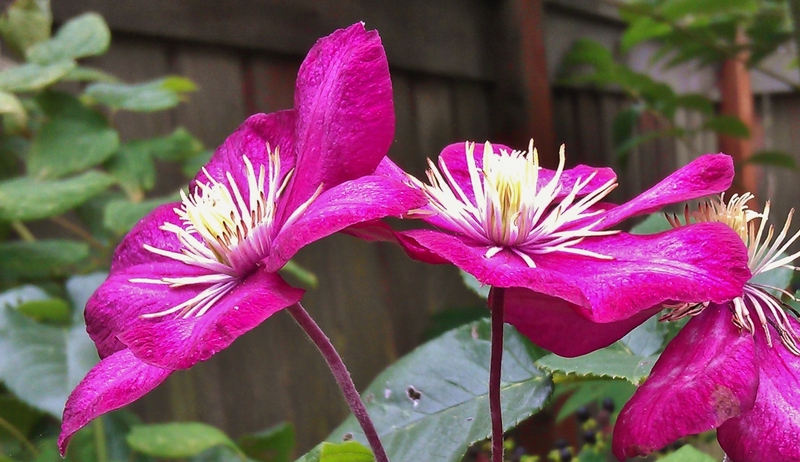 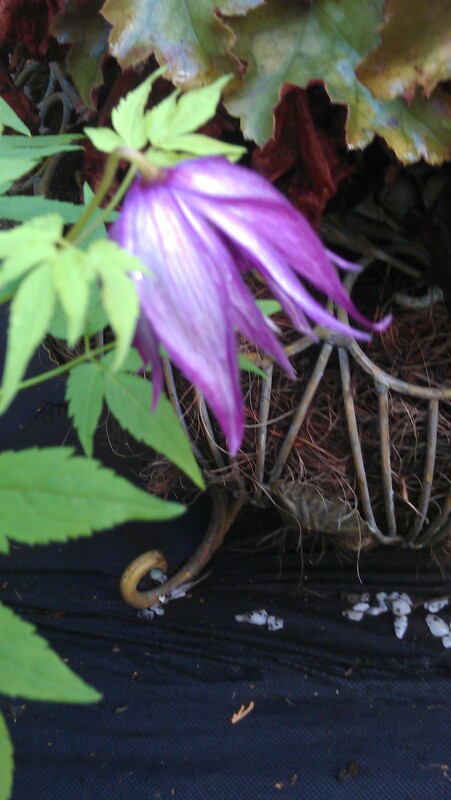 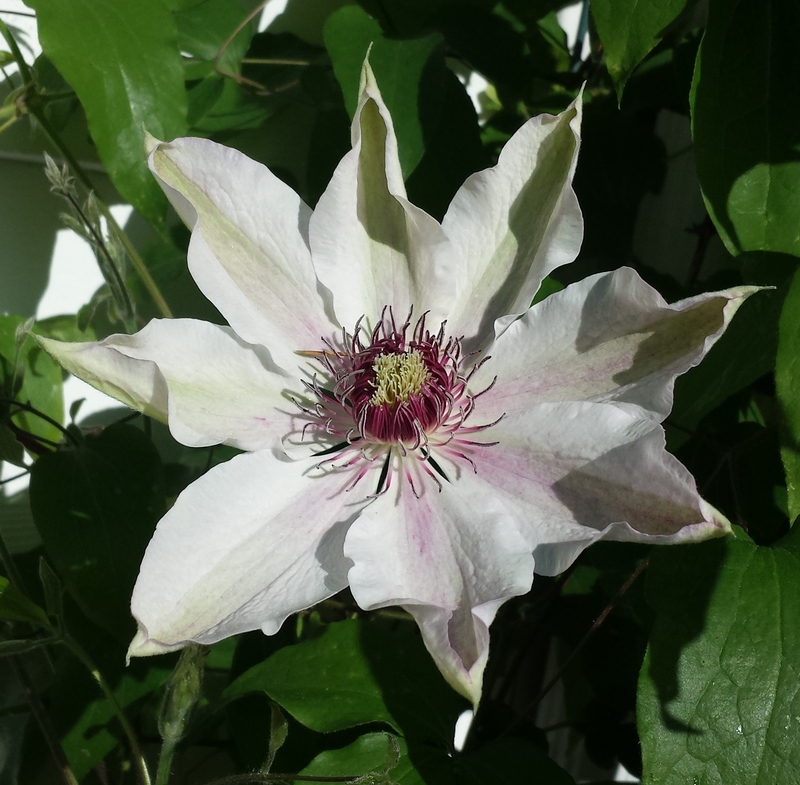 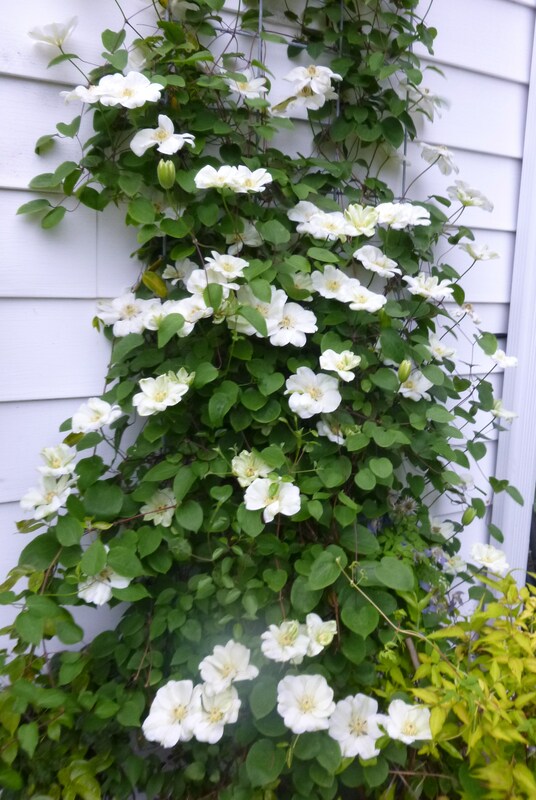 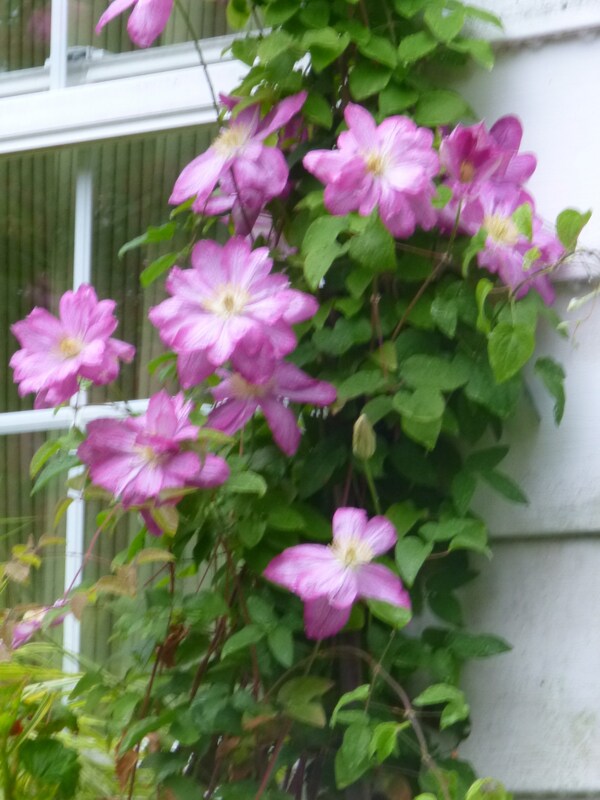 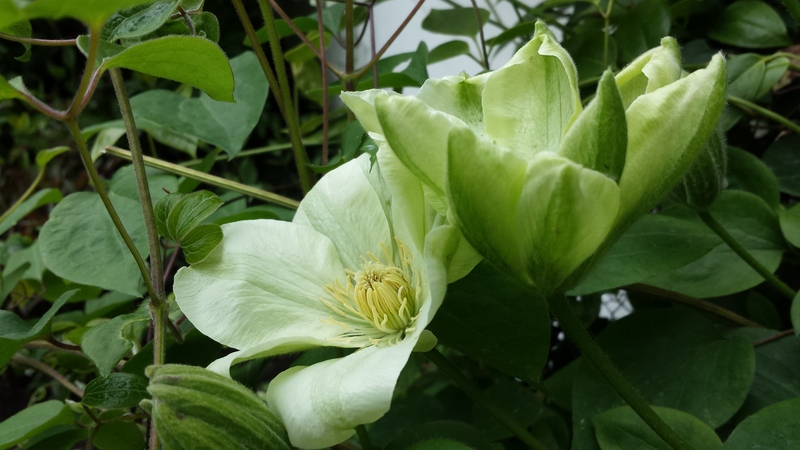 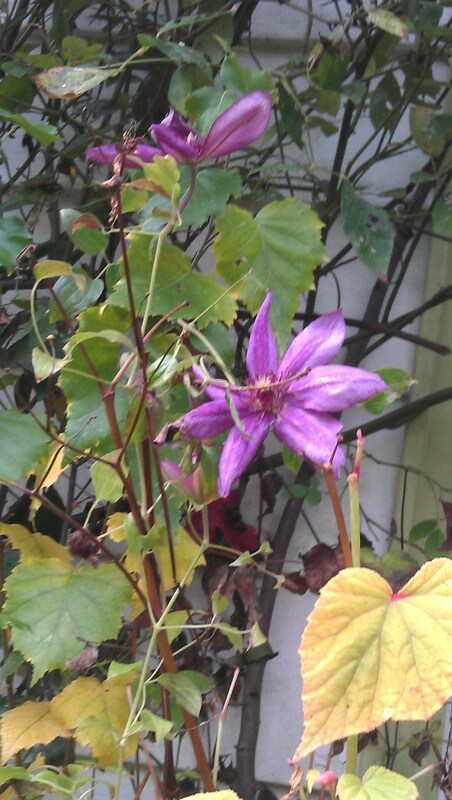 This clematis, loaded down with buds in September, burst into bloom in very early October, then bloomed its heart out throughout the month and even into November. 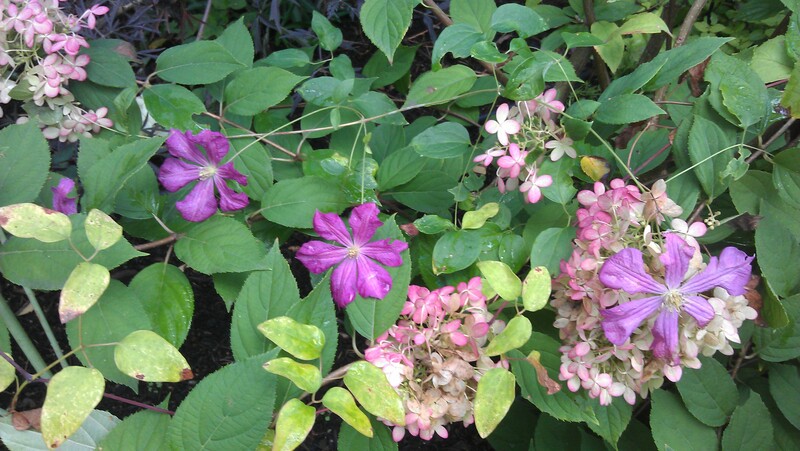 In Boston, Sweet Autumn bloomed much earlier for me (in August) and the scent was stronger because of the more intense heat there. 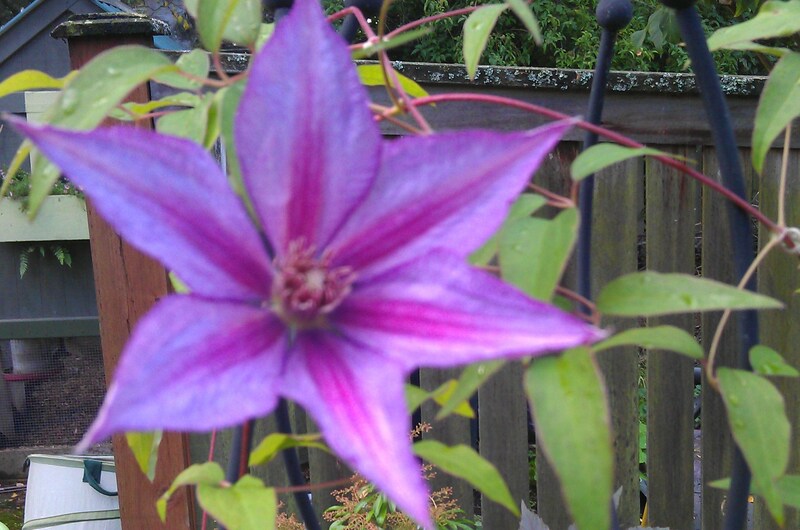 Nonetheless, I love it in Seattle, too. 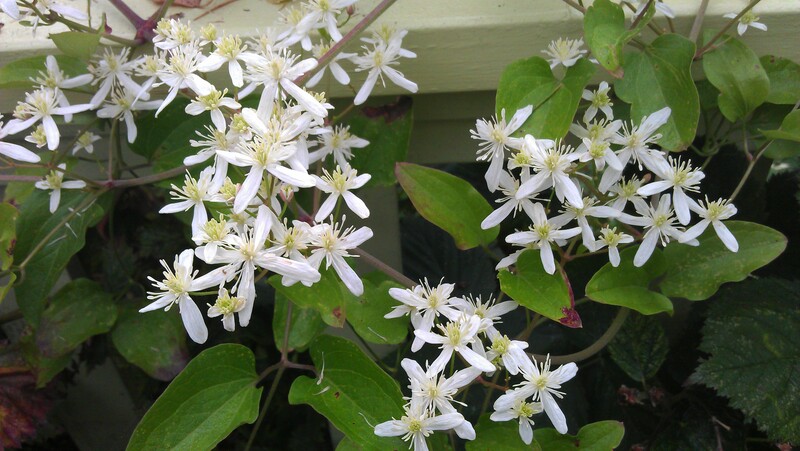 The delicate white blooms are lovely and the light vanilla (or is it hawthorn?) 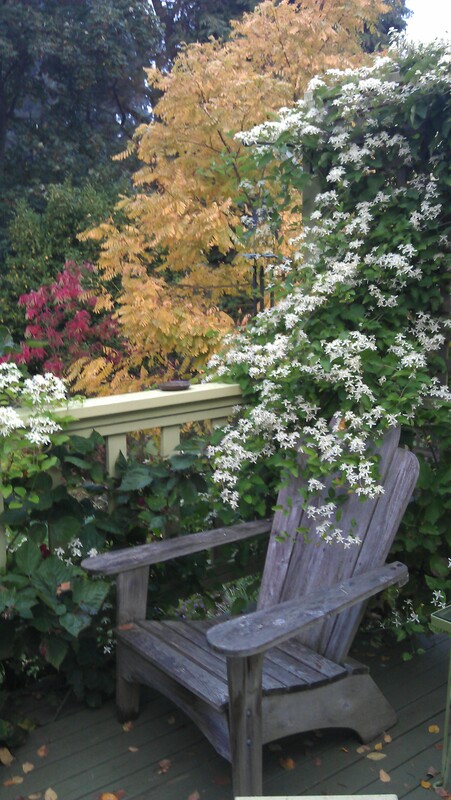 scent on sunny days is a welcome addition to my fall garden. 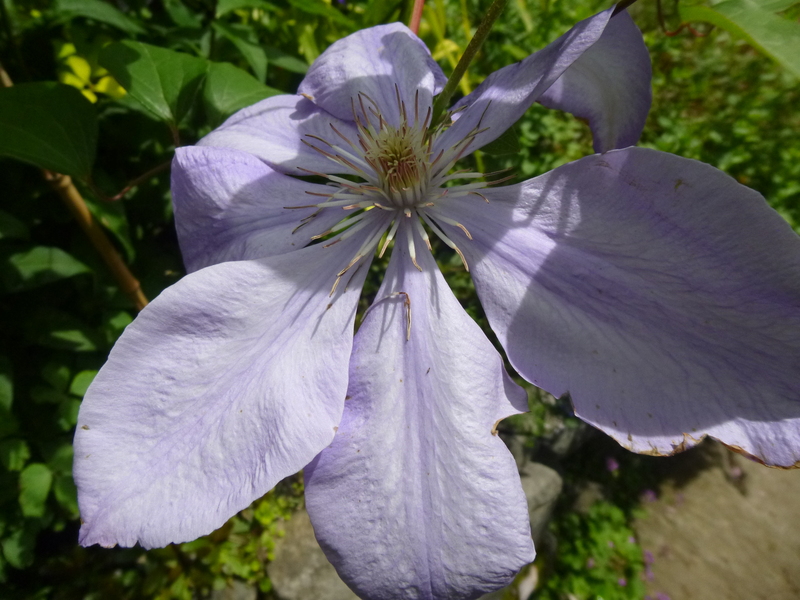 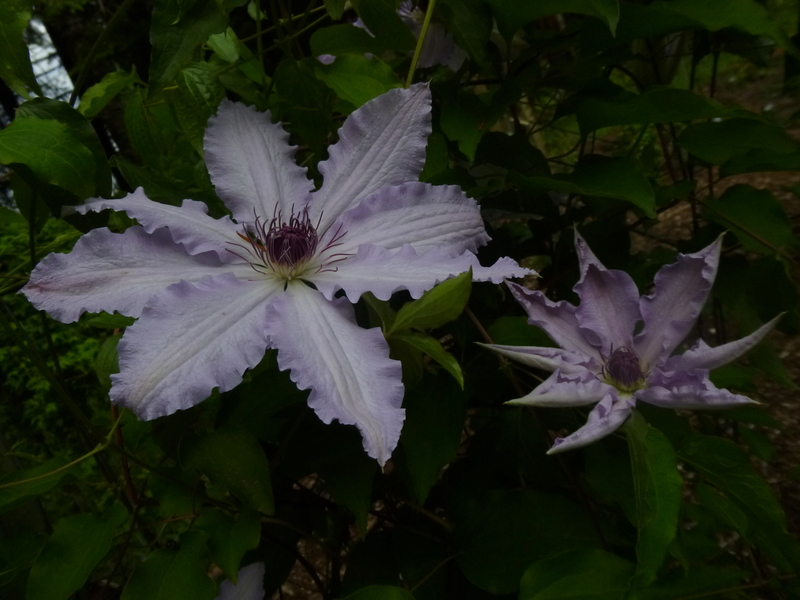 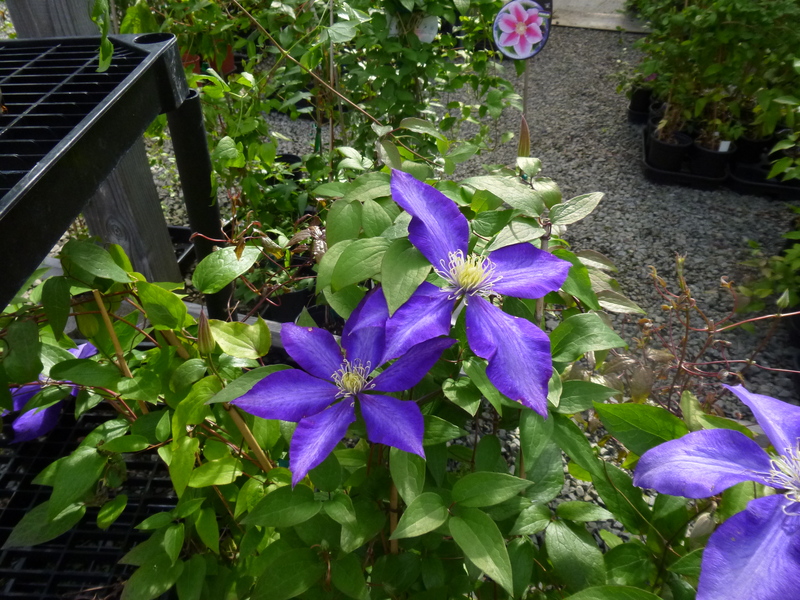 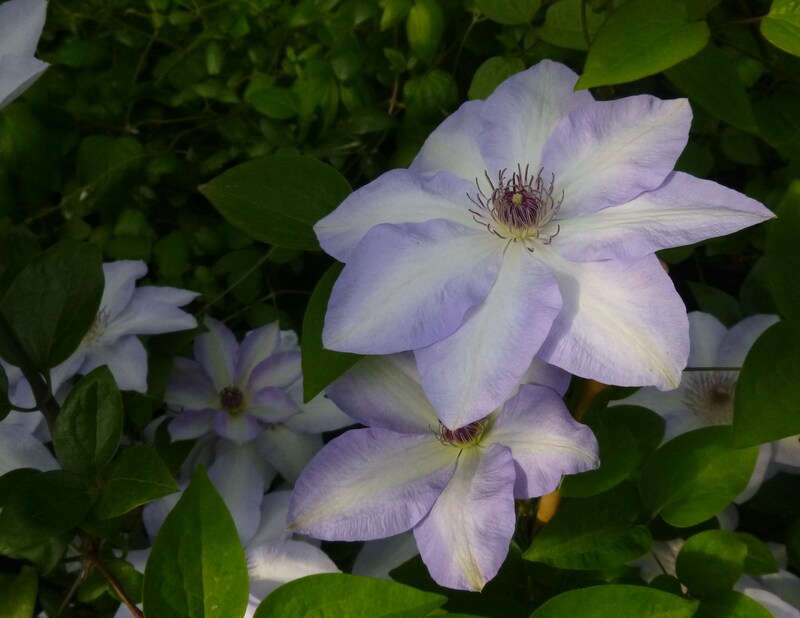 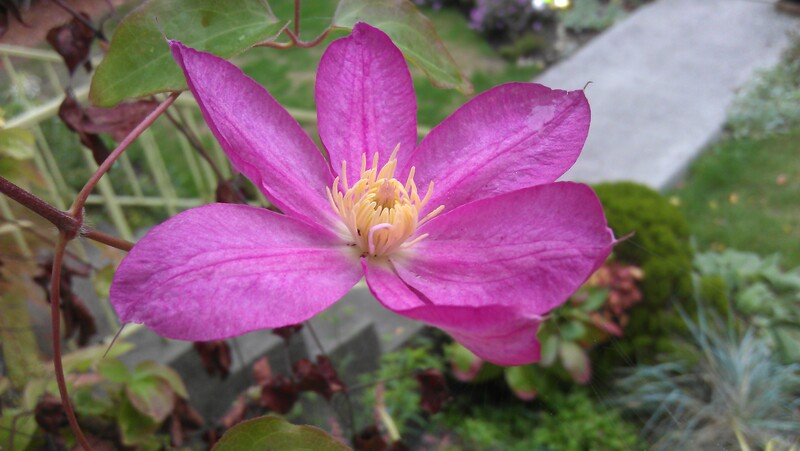 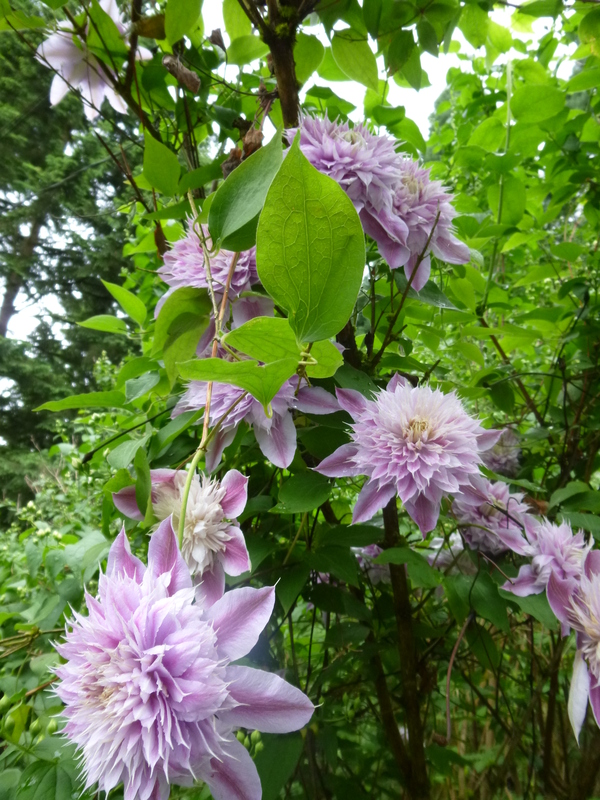 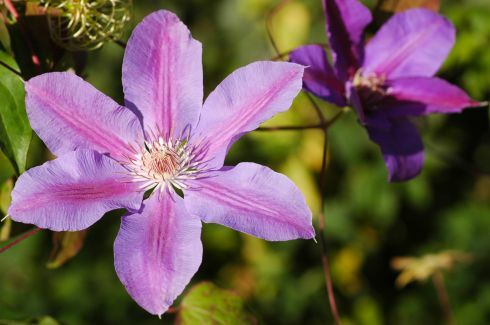 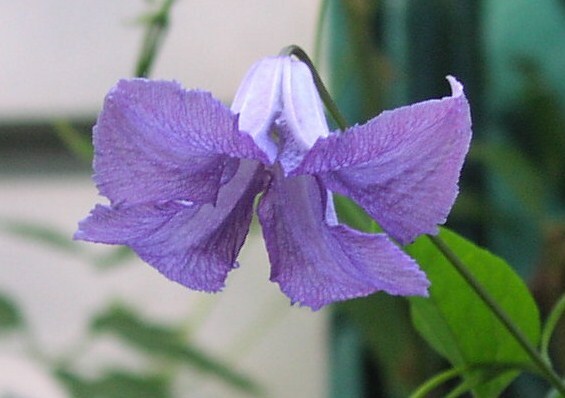 A species clematis, whose natural habitat is in China and Japan, Sweet Autumn is a large plant (throwing vines as long as 30-40′ in one summer) that needs plenty of space to grow. 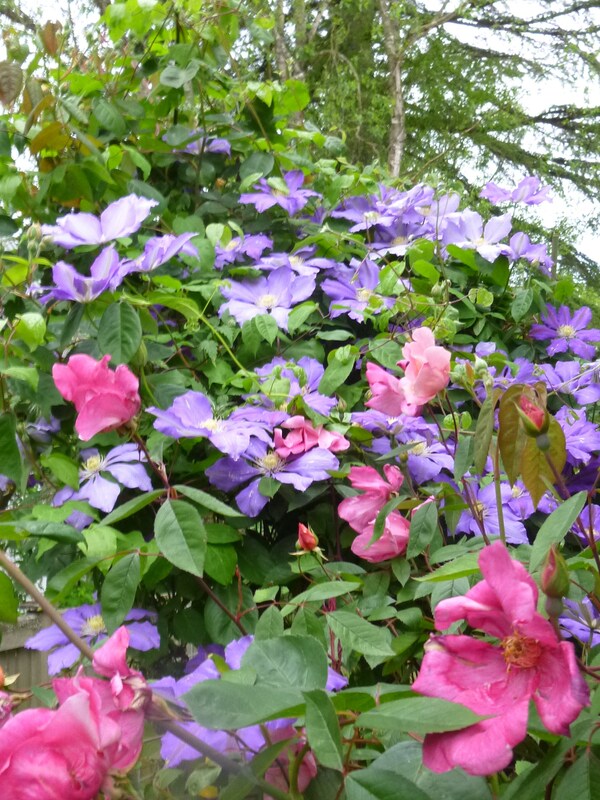 Don’t be alarmed about the size, though, because it can be cut back hard – to only one foot high – in spring. 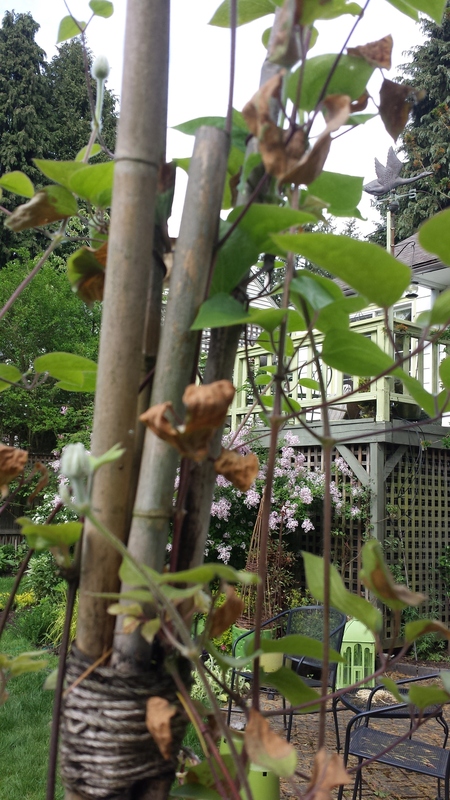 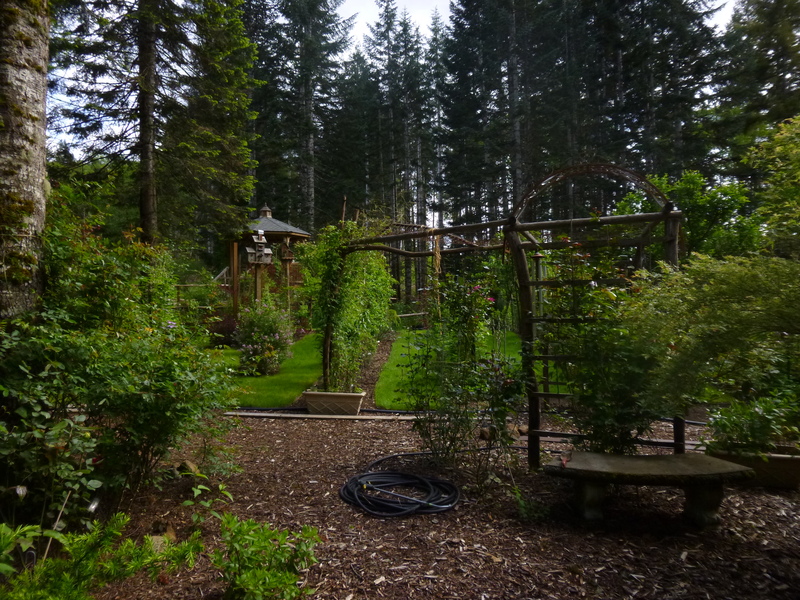 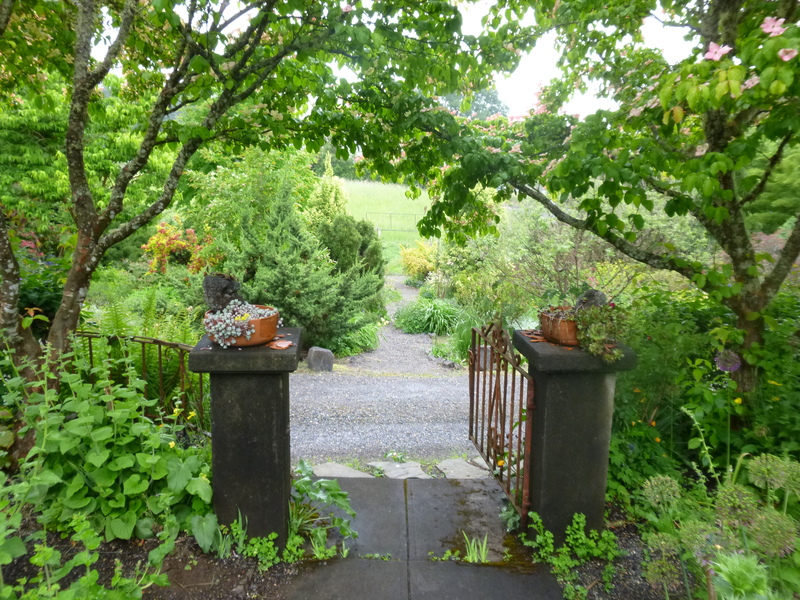 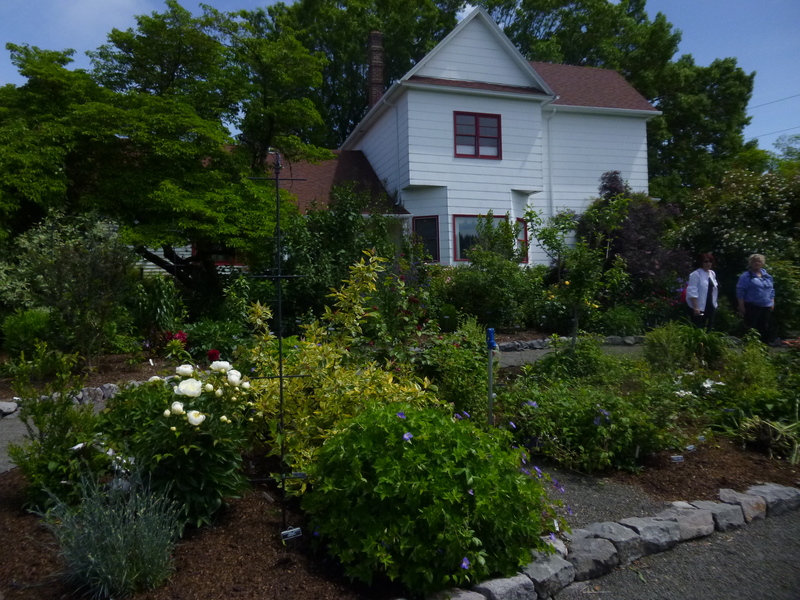 A note of caution for gardeners in some parts of the eastern United States – Sweet Autumn can be almost invasive there, but not so here in Seattle. 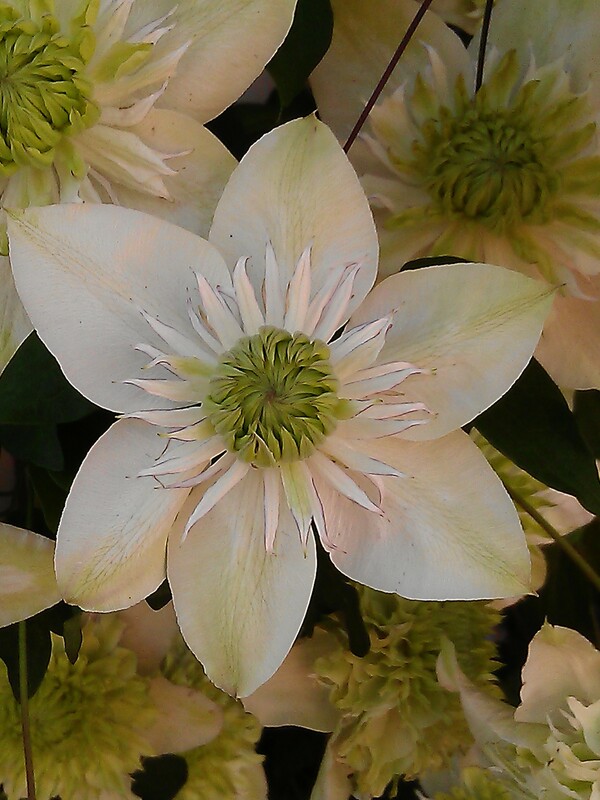 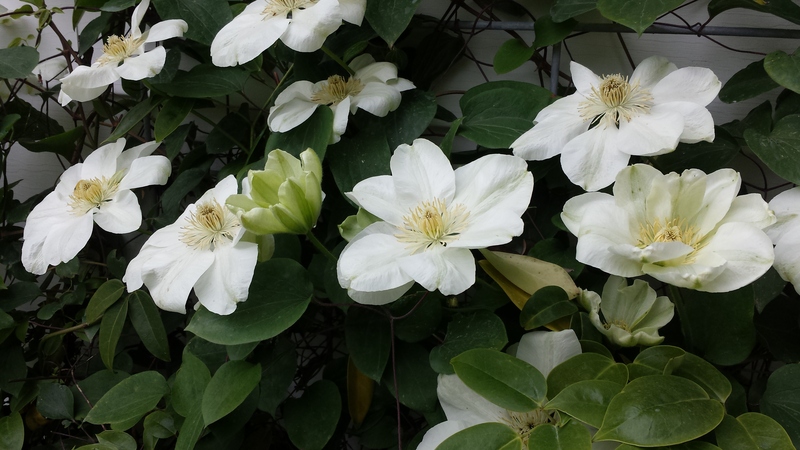 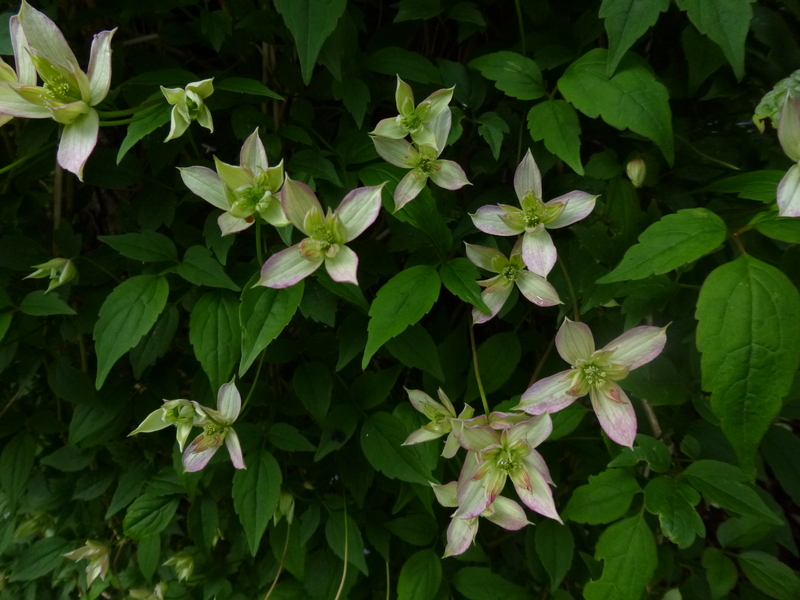 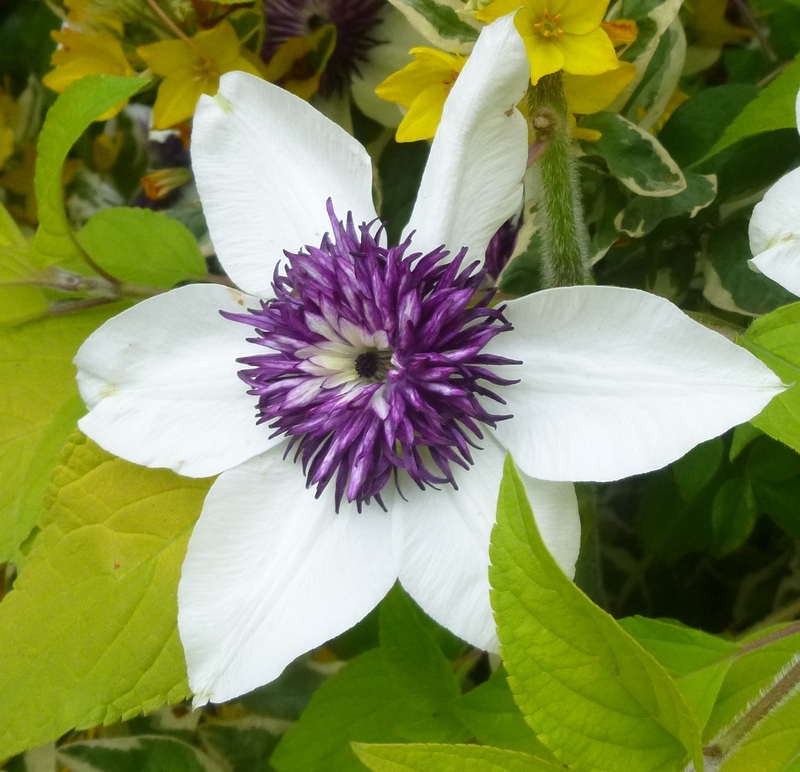 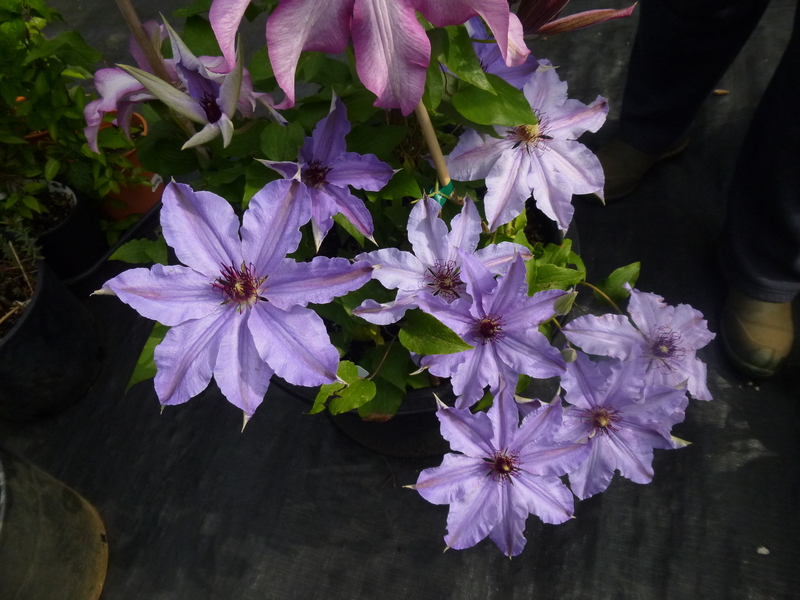 It’s correct botanical name is currently Clematis terniflora, but in the past it’s had a confusing number of unpronouncable monikers — C. paniculata, C. maximowicziana, and C. dioscoreifolia. 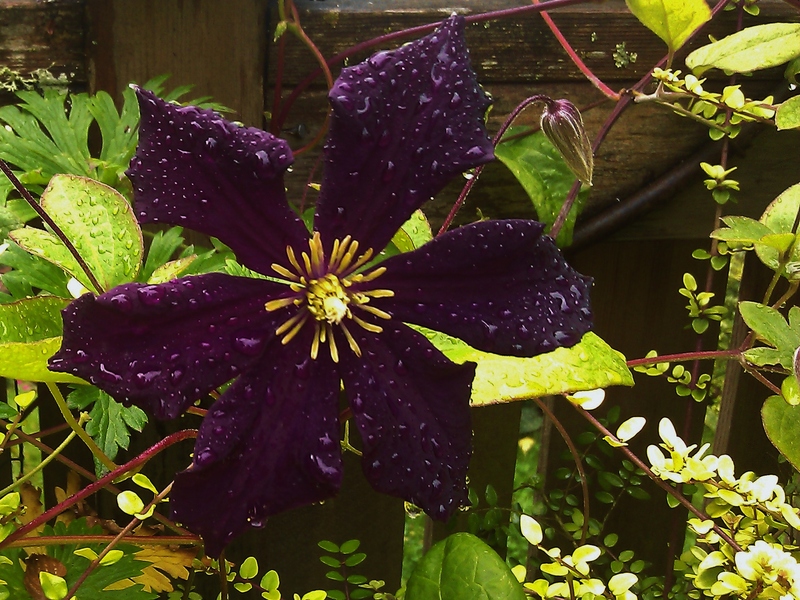 Under any name, it’s a winner in my garden! 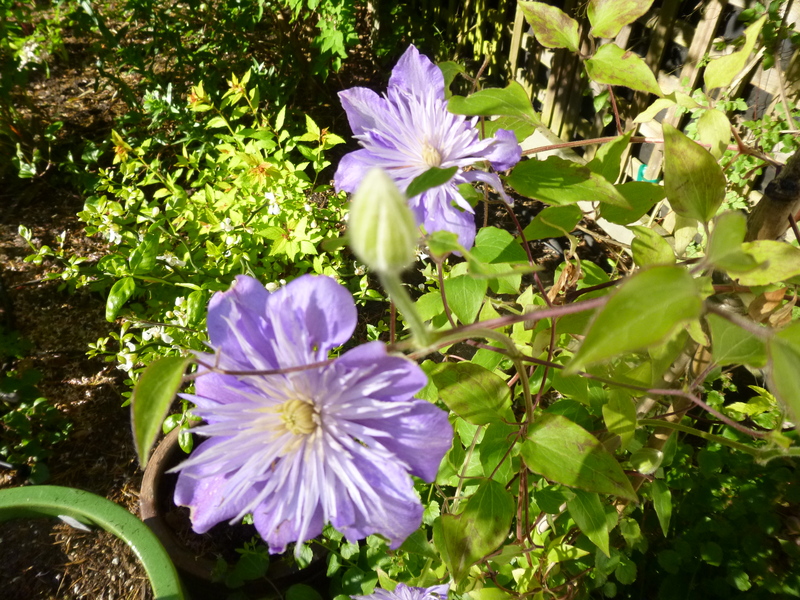 A few other clematis in my garden managed to open a blossom or two during the month of October, though most are winding down for the winter now. 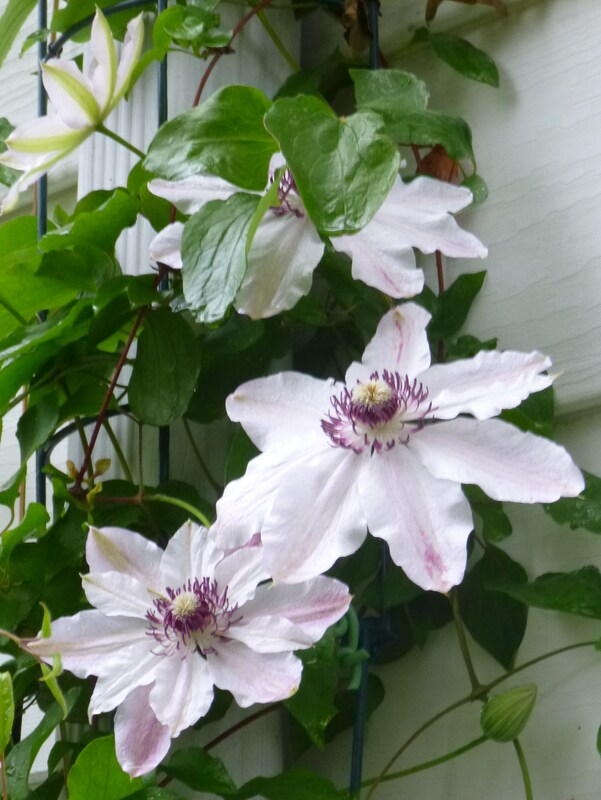 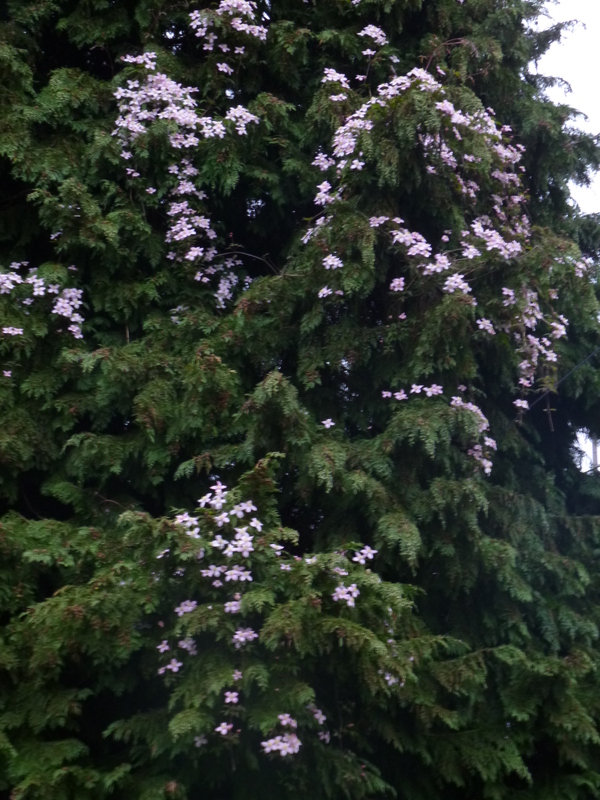 I hope to see some winter bloomers (like C. napaulensis and C. cirrhosa) showing off in a month or two. 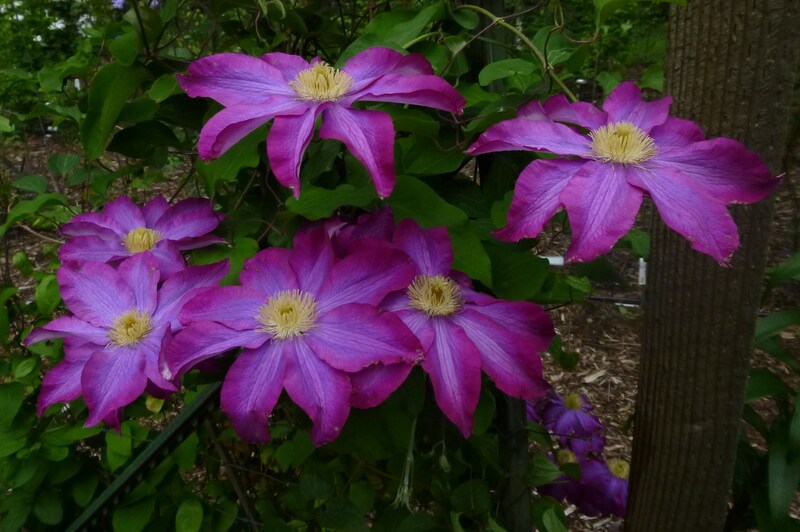 If they do, I’ll be sure to post photos!